The Wolfe Law Firm offers comprehensive legal services in all areas of Family Law, including Divorce, Paternity, Child Support, Time Sharing (Child Custody), Alimony (Spousal Support), Division of Property, Custody of a Child by a Family Member and Modification and Enforcement of Court Orders. Our firm is dedicated to providing the highest caliber of legal representation with expertise, compassion and integrity. When facing a divorce or other family law crisis, you need a strong, aggressive, experienced attorney to advocate for you and protect your rights. Attorney Barbara Joan Wolfe has served the people of South Florida for 30 years, and has successfully handled many of the most complex trial and appellate cases in Florida Courts. The Wolfe Law Firm has offices located in West Palm Beach and Wellington, Florida, and serves clients throughout Palm Beach County and Broward County. Visit the Contact page for the address and map to our office. Barbara Joan Wolfe is a Board Certified attorney who vigorously fights for her clients’ causes. Nicknamed “The Tiger Lady” by a prominent Palm Beach County Judge, Ms. Wolfe has been praised by many for her strong and accomplished trial skills, as well as, her dedicated and compassionate representation. I will vigorously advocate for your cause, protect your interests and defend your rights. You will receive personal, caring attention. Your questions and requests will be attended to promptly, and you will be kept fully informed about the progress of your case. I will be ever mindful of the trust and confidence you have placed in me. I recognize that representing you is a privilege, and I will do my utmost to ensure that your case has the best possible outcome. When faced with the crisis of divorce, you need a strong, compassionate, experienced attorney to protect your interests. Ms. Wolfe’s 30 years as an advocate and trial attorney have equipped her with the skills and sensitivity needed to represent clients facing such life-altering decisions. Click here to visit the Divorce page to read more. 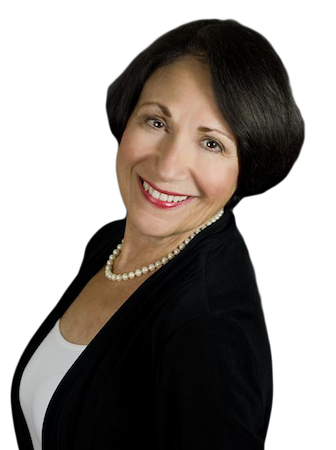 Attorney Barbara Joan Wolfe is a Florida Supreme Court Certified Family Mediator. She can enable you and your spouse or co-parent to settle your case without going to Court. Click here to visit the Mediation page to read more. Ms. Wolfe has skillfully handled hundreds of appeals in all Florida Courts, including the Florida Supreme Court. Click here to visit the Appellate Law page to read more.